For twenty five years, spanning three successful stints in both morning and evening drive times lots, Eric Von has been behind the microphone as host of one of Milwaukee’s most popular talk shows, the original “Morning Magazine” and “The Eric Von Show,” for radio station 1290 WMCS-AM. In 2001, Eric left to pursue other interests, and in 2004 returned to WMCS and stirred things up, as he had during his first stint. It’s safe to say, things haven’t been the same since. Based largely on his reunion with the station, WMCS switched from its popular “hits and oldies” format to news/talk an unprecedented move in urban radio. For the station, the change resulted in greater industry recognition, a more diverse listening audience and increased revenue. Just as important, the change to a news/talk format broadened avenues of communication within the African American community, the station’s core audience, and the community at-large. Eric is a veteran of more than 25 years in the radio industry, starting his career as a disc jockey, then, moving into news where he was a reporter and anchor. 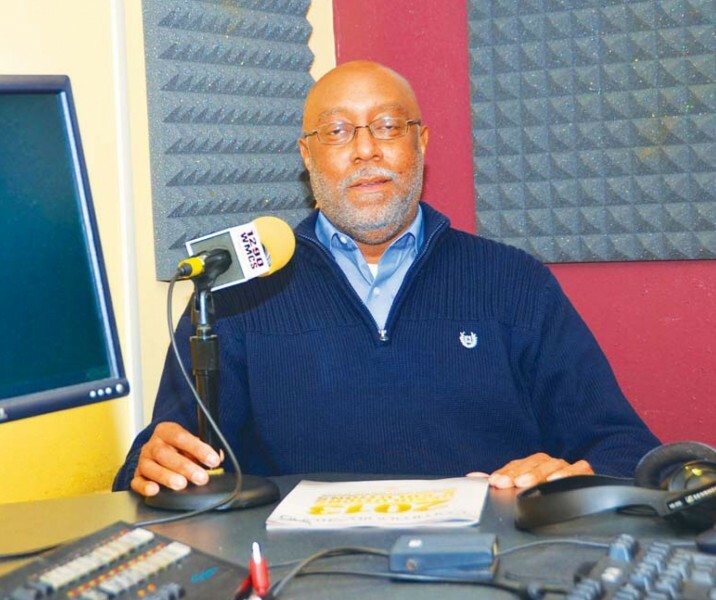 He served as the business manager for Radio One in Washington, D.C., and director of operations for WMCS radio. Today, he is one of the most sought-after opinion leaders, sharing his insights as a panelist and moderator on political and socio-economic issues. From 1998 through 2000, Von was a special assignment reporter and co-host of “It’s Your Vote,” a weekly political affairs show which featured candidate forums, debates and voter education information on Milwaukee’s WISN Channel 12. In February 2013, Eric and his wife Faithe Colas (herself a past Black Excellence honoree) launched Brain Brawn & Body (www.brainbrawnbody. com), a website that focuses on the health and wellness issues of African American men. 2013 Black Excellence Awards Music Honoree Joe V. Nathaniel, Jr.